Since joining ConocoPhillips in 2009, Laura Donnelly has covered a lot of territory. A rotating equipment specialist on the Barossa project, living in Kuala Lumpur, Malaysia, Laura has responsibility for “anything that spins,” including pumps, compressors and gas turbines. Laura graduated from the University of Texas at Austin with a degree in mechanical engineering and Plan II, an interdisciplinary arts and science honors major. She was a ConocoPhillips SPIRIT scholar who interned during the summers and was hired right out of college with the company’s Summit program for capital projects. Laura’s first position with ConocoPhillips was on the Australia Pacific LNG (APLNG) project, beginning with 3 ½ years at longtime collaborator Bechtel’s Houston office. In 2013 she was transferred to Brisbane, Australia, where she commuted weekly to the APLNG facility on Curtis Island near Gladstone. 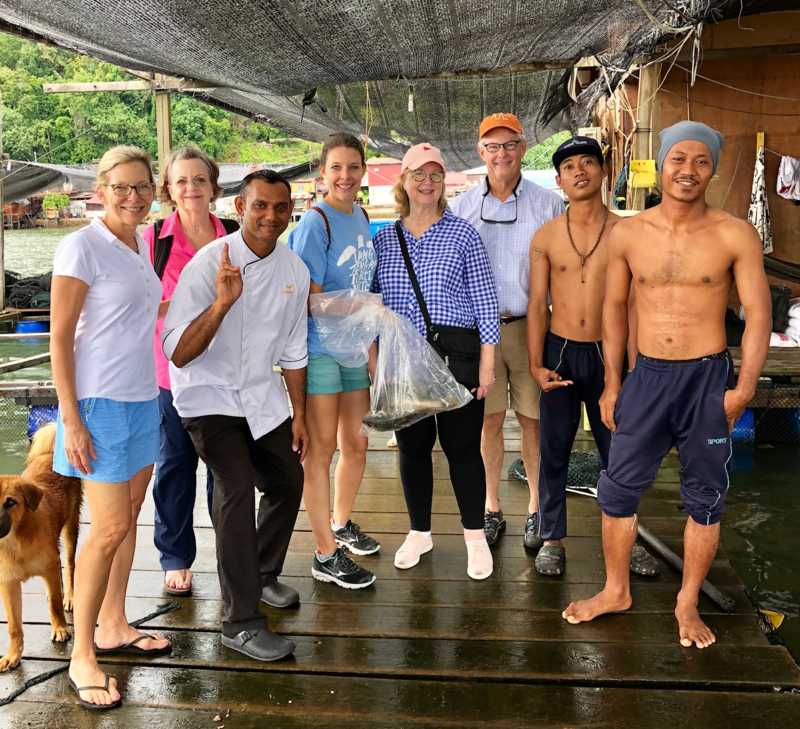 “I flew to Gladstone and ferried to APLNG on Monday mornings and back on Fridays, living during the week at the construction camp on Curtis Island,” Laura said. She worked in diverse roles throughout the construction, commissioning and startup phases of Train 1 and Train 2, which included mechanical engineer and project engineer. 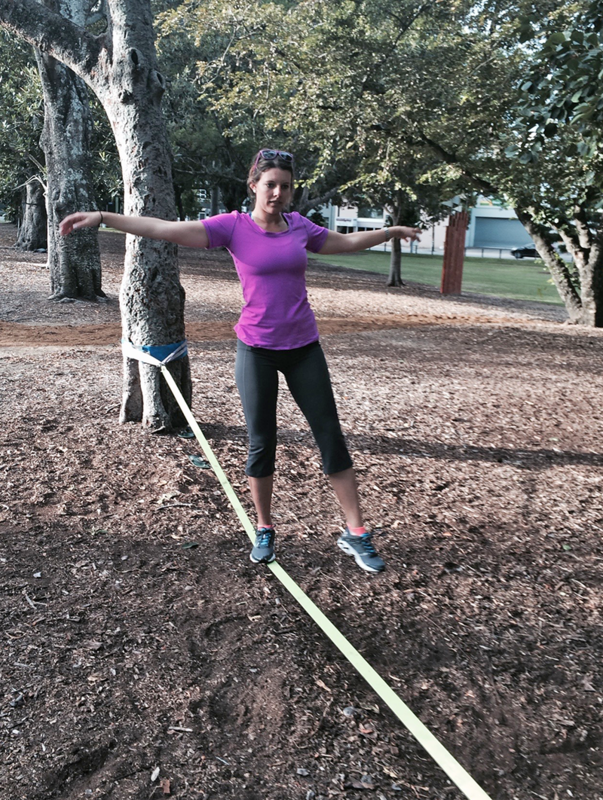 One of her Sunday activities was slacklining in a Brisbane park. At its most basic, slacklining is walking along a suspended length of flat webbing that is tensioned between two anchors. Think tightrope walking close to the ground. With friend Louise overlooking the city of Kuala Lumpur, with KL Tower in background. The communications tower, completed in 1995, is the seventh tallest freestanding tower in the world and offers panoramic views of the city from its observation deck. After leaving Australia, Laura spent one year in ConocoPhillips’ Permian business unit as a construction supervisor for the Mockingbird Central Facility. Mockingbird integrates infrastructure for several well sites into a central processing facility, minimizing the equipment and processing required at each pad. During the Permian assignment, Laura lived in Pecos, Texas, about an hour and a half from Midland, a rare female occupant of the 1,000-person residence camp. 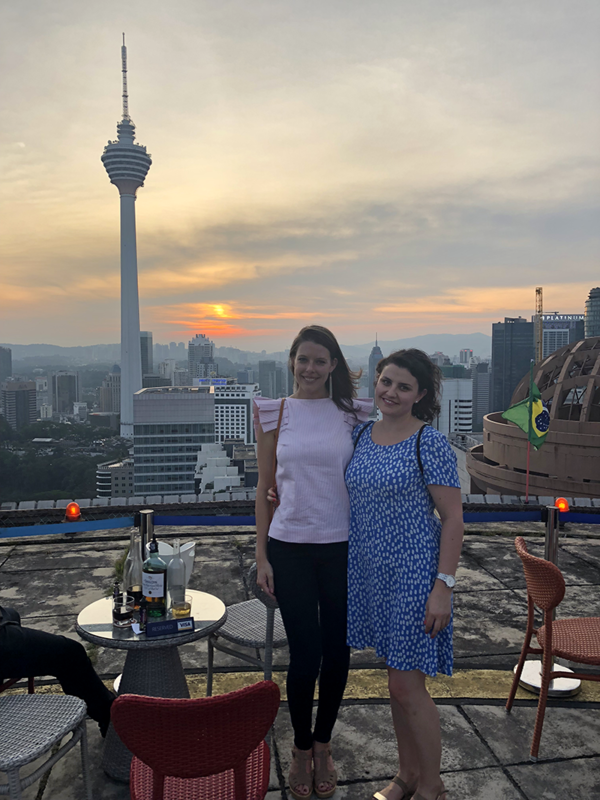 In summer 2018, Laura transferred to Kuala Lumpur, Malaysia to work on the Barossa project. 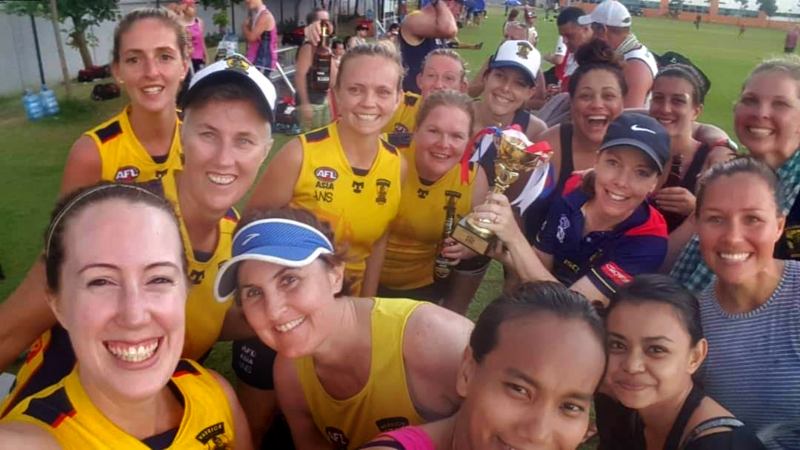 TOP: At an Australian Football League tournament in Phnom Penh, Cambodia in August 2018, Laura and her team with their first place trophy; ABOVE: The team huddles with their coach prior a game. Plans are for Barossa, now in the early stages of engineering design, to backfill the Darwin LNG facility starting around 2023. Laura works with a 12-member ConocoPhillips team at one of the front-end engineering and design contractor’s Kuala Lumpur office. Laura notes that Kuala Lumpur has a huge expat community and incredible restaurants with all different types of food. 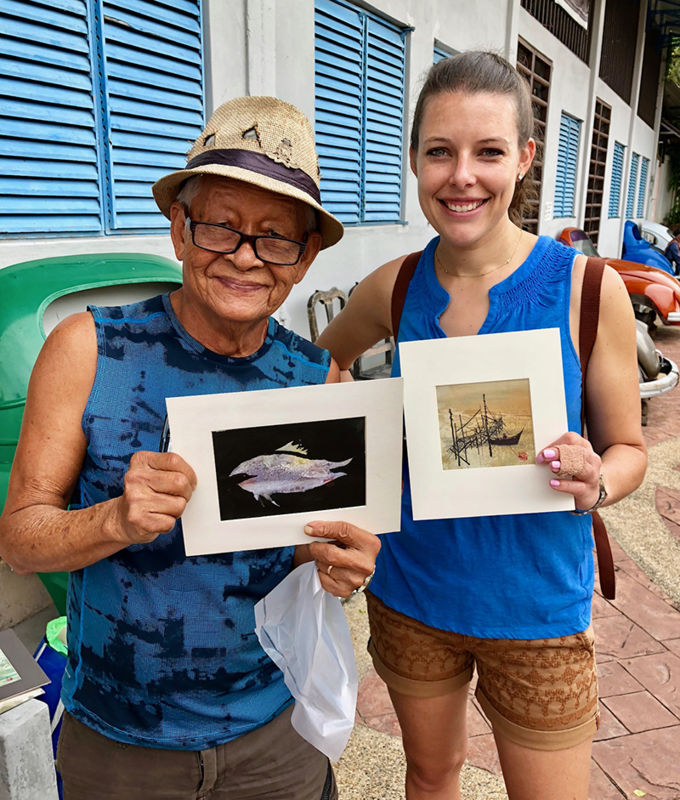 Laura has a car and enjoys taking road trips outside Kuala Lumpur to learn more about Malaysia and its history. When she was looking for a way to be active outdoors and meet people, she drew on her experience in Australia. She soon got a surprise. Australian rules football is a contact sport played between two teams of 18 players on an oval-shaped field. The women’s team — the Malaysian Warrior Women — is in its second year. About a month in, having played only one game, Laura broke a finger catching the ball. She’s considering a transition to Gaelic football, which doesn’t involve tackling and actually forbids deliberate bodily contact. Both hands and feet are used to control and pass the round ball. All in all, Laura is thriving in her new life.